Caveman steaks take us back. The other day we talked about how our bodies haven’t evolved as fast as our technology in the blog about “A Reversal on Carbs“. 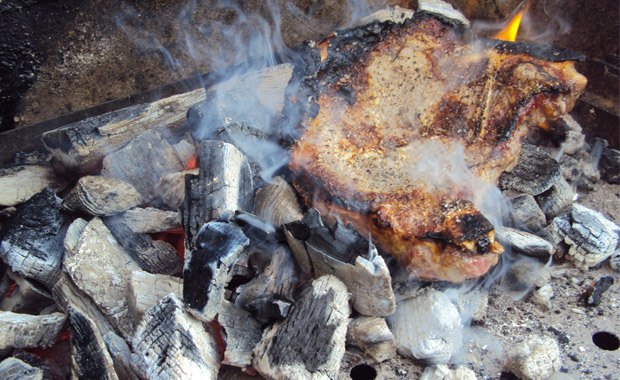 Here is a chance to step back to our caveman roots and cook a steak directly on the coals. Please use hardwood charcoal, not charcoal briquettes. This recipe comes from Men’sHealth section on Guy Gourmet – Eat to Live, Live to Eat. 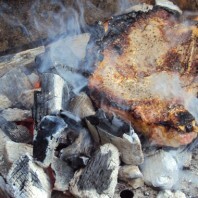 The recipe says that by cooking directly on the coals you will create a crispier crust and juicier steak. 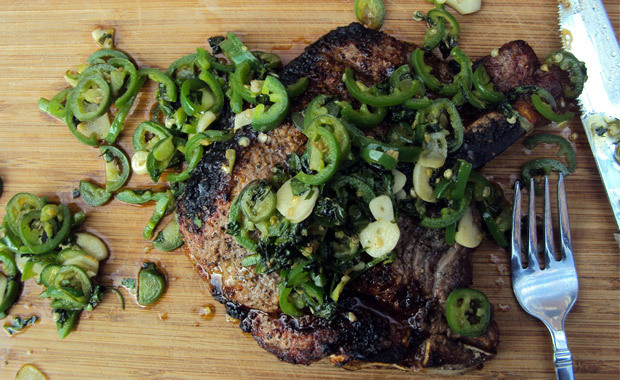 This recipe calls for T-bones, but any grillable cut of meat will do. Try the hellfire hot sauce for an extra kick. First, make the caveman steaks. 1. Build a charcoal fire and rake the coals* into an even layer (leave the front third of the grill coal-free). When the coals glow orange, fan them with a newspaper to blow off any loose ash. 2. Generously season the steaks on both sides with salt and cracked pepper. Place the steaks directly on the embers about 2 inches apart. Grill the steaks until cooked to taste, 4 to 6 minutes per side for medium rare, turning with tongs. 3. Using tongs, lift the steaks out of the fire, shaking each to dislodge any embers. Using a basting brush, brush off any loose ash and arrange the steaks on a platter. Cover the steaks loosely with aluminum foil and let them rest while you make the sauce. Next, make the hellfire hot sauce. Don’t skip this. 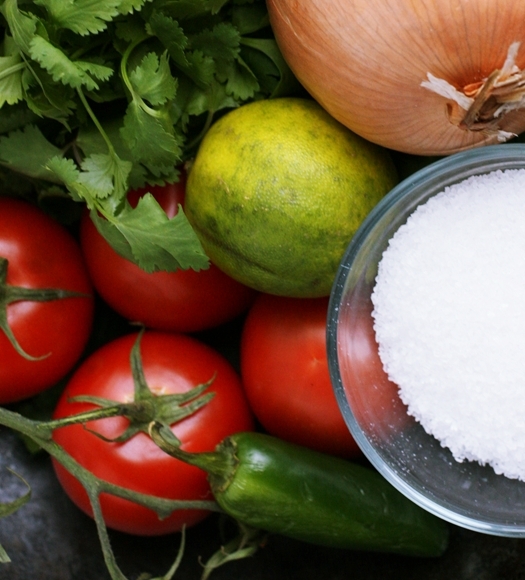 All you need is four ingredients and a cast iron skillet. 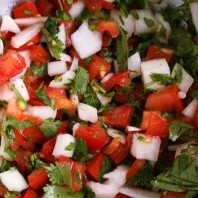 Heat the olive oil in a cast-iron skillet directly on the embers, on the side of a gas grill, or on the stove. 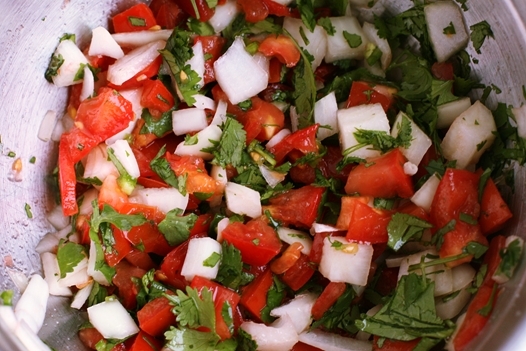 When the oil is hot, add the jalapenos, garlic, and cilantro. Cook the sauce over high heat until the jalapenos and garlic begin to brown, about 2 minutes. Immediately pour the sauce over the steaks and serve. Serves 4 hungry people. Jughandle says- Not many things better than a grilled steak and you’ll be getting a good dose of protein too. Try a grilled sweet potato as a side or grilled vegetables, you’ll love it.